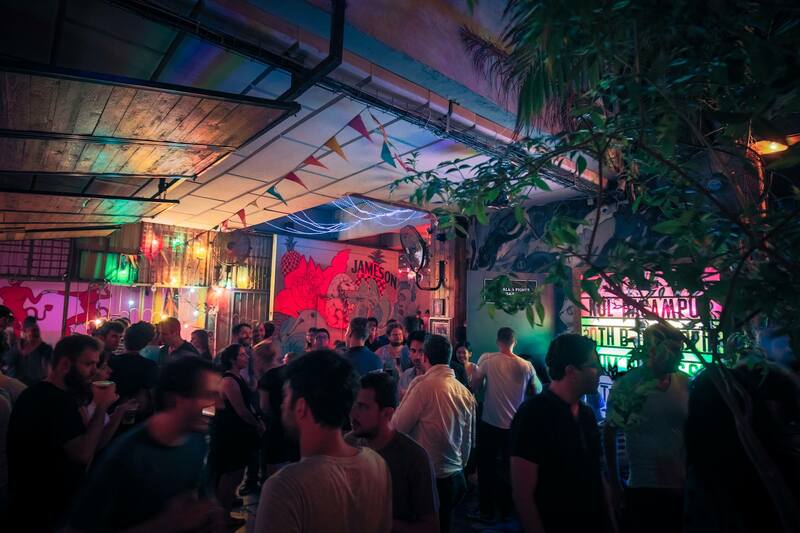 London's tabloid newspaper Evening Standard has featured an online article entitled "7 of the best bars in Tel Aviv off the beaten track." London’s tabloid newspaper Evening Standard has featured an online article entitled “7 of the best bars in Tel Aviv off the beaten track.” The piece, which follows a bar crawl of food & travel journalist Victoria Stewart, mentions Kuli Alma on Mikve Israel St.; Aria downstairs lounge on Nahalat Binyamin. ; Rothschild 12, Jimmy Who and Billie Jean on Rothschild Blvd. ; Spudnik on Allenby St. and Radio E.P.G.B on Shadal St.
Digital design and art publication, The Spaces, has included a roundup of the “5 top hotels in Israel for design lovers,” citing: “…from Ottoman-era townhouses to beautiful Brutalist sanatoriums, the country’s architectural bounty traverses millennia.” The five hotels featured are: The Efendi Hotel, Acre; Emla Arts Complex, Zikhron Ya’akov; Villa Brown Jerusalem; The Norman, Tel Aviv; and the W Tel Aviv – Jaffa, which is due to open next March. The latest property from the Isrotel Hotel chain, the Orient Jerusalem, located on Emek Refa’im St., has been mentioned in the San Francisco Chronicle. The newspaper has identified the property as: “…an opulent hotel that reflects East and West as much as past and present,” in addition to stating its appeal as: “Sumptuous, cross-cultural blend of old and new”. British newspaper The Telegraph published an online article on Israel called: “The Mediterranean country you’d never thought to visit (but really should)” depicting 10 reasons to visit the country. These include its beaches, nightlife, culinary scene, museums and history.